IELTS is an English proficiency exam used to assess the English language skills of a person. IELTS is used by universities and colleges overseas to adjudge the English language proficiency of candidates whose native language is not English. IELTS has four modules: Reading, Writing, Speaking and Listening. 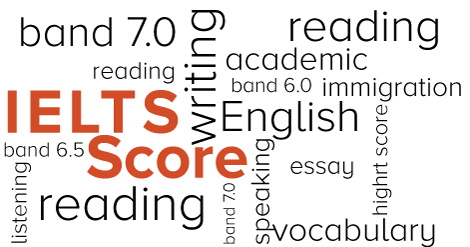 IELTS score plays a very crucial role in determining your chances of getting into that coveted university. So below we discuss the most effective methods of improving your IELTS score. Start your preparation well before the exam. IELTS requires you to go through a vast range of topics; therefore, having a generous amount of time in your hand is always a good idea. Ideally, your IELTS preparation should start about 4-6 weeks before your exam date. Move beyond the curriculum. Scoring well in IELTS needs that you have a fair grasp on English language. This can be achieved by variety of means. Watch English television soaps and movies, read English novels, play board games like scrabble etc. These activities will teach you a thing or two about sentence formation and English vocab. Attempt mock tests. Mock tests help you to get a glimpse of your D- Day. It is quite a possibility that you might know the stuff but poor management of time doesn’t allow you to complete the paper. Thus, it is advisable to take various rounds of mock tests to improve your time management skills. Converse in English as much as you can. This will help you to get a grasp over the language. It will also help you immensely in your interview section. Join a coaching institute for IELTS preparation. Such institutes help you to undertake a balanced preparation and make an expert guidance available to you at all times. Follow these tips to improve your IELTS score and amplify your chances of getting into the institute of your choice.